Parenting In The Age Of Alexa, Are Artificial Intelligence Devices Safe For Kids? : Shots - Health News Talking to a device that talks back can be entertaining and educational for children. But psychologists say children can develop relationships with these devices that can be different than adults. "Aristotle is designed to comfort, entertain, teach and assist," according to a company release issued in January. It was designed to "displace essential parenting functions, like soothing a crying baby or reading a bedtime story," says Josh Golin, executive director of the advocacy group Campaign for a Commercial-Free Childhood. "So that the children would form an attachment to it." But Aristotle went further than that. It wasn't going to just give the child information. It would have been able to collect information from the child in the bedroom — and then upload it to the cloud. Parents, pediatricians and politicians raised concerns, including those about privacy. What would Mattel do with the information they could collect from children? About 15,000 people signed petitions asking Mattel to scrap its plans to sell Aristotle. A Mattel spokesperson told NPR in an email that after a review, the company's chief technology officer "decided that it did not fully align with Mattel's new technology strategy." But the idea of Aristotle is not gone. In fact, AI-powered devices are already in the home, and more are on the way. When you stop and think about it, the idea behind Aristotle isn't too far from what many families already have: intelligent personal assistants such as Google's Home, Microsoft's Cortana and Amazon's Echo — which is run by its AI system, Alexa. Like Aristotle, these devices use artificial intelligence to try to engage family members in conversations. Their abilities are currently quite limited. For example, Alexa has a hard time understanding young children's questions. But the devices are designed to improve their skills over time. They can already provide entertainment for children: tell jokes, play 20 questions, keep track of time, play music and answer question after endless question. One family we talked to used Alexa to track the Mars Rover. "In this way, these devices are great for kids," says Solace Shen, a psychologist at Cornell University who studies how children interact with robots. "Kids are so curious, and they can learn a lot of facts and information from the devices, without parents having to bring out their phones or computers." But some of the concerns with Aristotle apply to Alexa and Google Home. But what about these devices interacting with our kids? Both Shen and Rachel Severson, a child psychologist at the University of Montana, have published studies about children's relationships with intelligent technology. They offer these tips to help ensure the little cylinders are a positive addition to your home. 1. Don't be a bossy pants. One of the big concerns is that people tend to be impolite with the devices, Severson says. "You can yell at them and scream, 'I don't like that song, skip ahead!' And the devices just respond in the same way as if you're polite," she says. At first that doesn't seem like a big deal. The devices are just computers, right? Maybe not to your children, Severson says. "Young kids likely view these devices very differently than adults do," Severson says. They may attribute human characteristics to the device, thinking that Alexa has feelings and emotions. Some kids may even think there's an actual woman inside the device. That's exactly what one little boy, age 4, told us about his Alexa — that she was a person who lived in an apartment outside his window. And he loved her. Given this intimate relationship with the device, Severson says, parents need to be careful how they interact with Alexa and Google Home. "Children are developing their conceptions of what is appropriate social interaction," Severson says. "So parents need to recognize that your kids — particularly young children — are really paying attention to you as the parent for cues on how to interact with the device and how to interact with others." So if you want kids to say, "Please and thank you," you probably want to say "Please and thank you" to your virtual assistant as well. Don't just watch your child converse with Alexa or Google Home, but also participate, Shen says. "Parents need to be aware that Alexa is a passive system," she says. "So kids can potentially jump from topic to topic, and the system will just continue to respond in the same way. It will never push back." 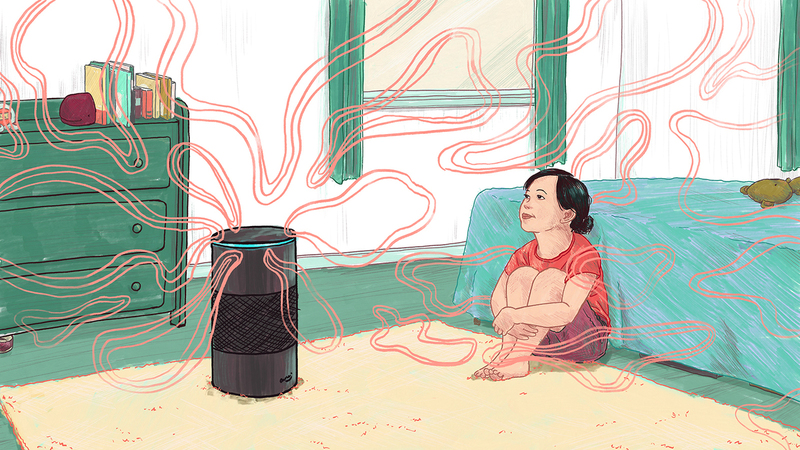 In this way, the interaction between a kid and Alexa is lacking in complexity compared to how a kid would talk to a person in real life, she says. So parents can help enrich the interaction by getting involved. You can ask the child questions about what they just learned, comment on how they're talking to the device or make connections to things in real life that relate to the topic. And if you're not around when the kid is talking to Alexa, check in afterwards to see how they're using the device. "Ask them what they learned and what kinds of questions they asked," Shen says. 3. Limit the time on the device. Alexa and Google Home should never take the place of a caregiver, Shen says. "In reality, we are all busy parents," she says. "And there are times that I even give my child a tablet just so I can get my work done." But in general, parents should think of these devices in a similar way as tablets: Time on them should be limited. "These devices offer more engagement and interaction than just passively watching TV," Shen says. "But that interaction is still impoverished compared to talking to a parent or teacher. "Make sure there is a balance between the time kids are interacting with the systems versus interacting with humans, doing physical activities and getting enough rest," she says. Because children learn best when they interact with real people, face to face, Shen says. And to learn social skills they need to interact with someone who has a whole array of emotions — whose feelings will get hurt if you're impolite or call them stupid.